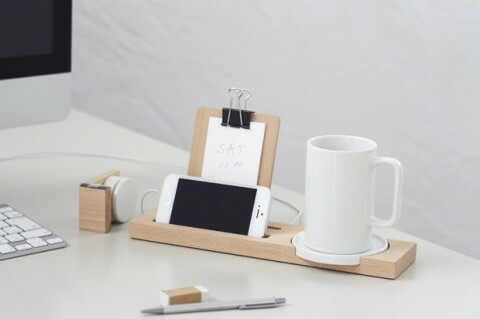 A natural wooden tray that elegantly holds a mug and saucer, memo pad and smartphone. That looks awesome! Sadly the link doesn’t seem to work. And cool if it included a heating element for the coaster to keep my tea warm.